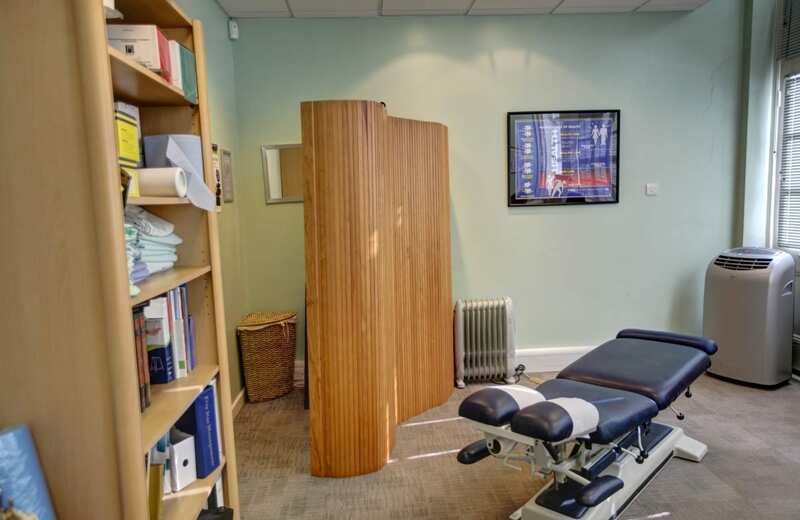 Choosing the right Poole & Blandford Chiropractic and Sports Massage Clinic. With clinics in Ashley Cross, Poole & Blandford we have been helping the conurbation of Dorset since 1994. Back In Form Chiropractic Clinic aim to seek out the cause of your pain “from the head down, the ground up and inside out“. An experienced professional approach to healthcare. A whole body treatment that’s specific every time you visit. At Back In Form Chiropractic Clinic we use a functional neurological approach as most issues that cause postural strain, weakness and pain come from the relationship between the brain and the body. If you fail to address this imbalance your problem will keep returning. We use specific testing to enhance and balance the reflexes that control you. This helps rebalance muscles and improve joint function while reducing pain. 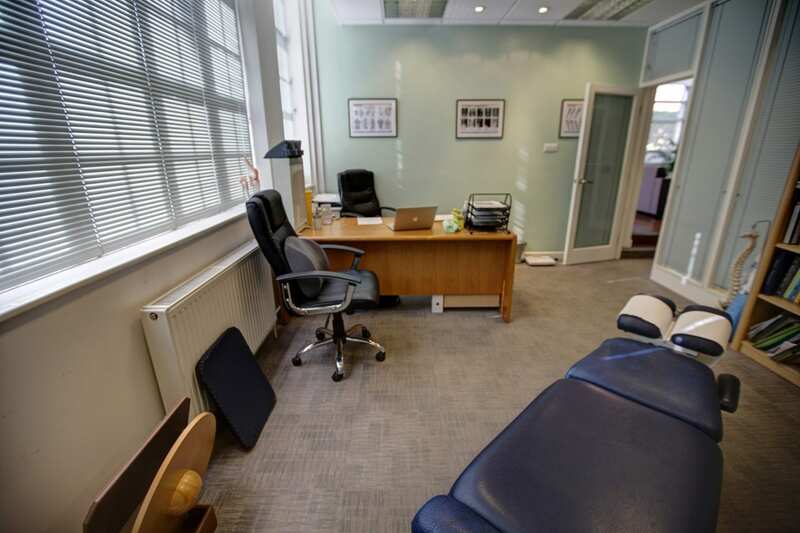 When Combined with our excellent Sports Massage you’ll soon be getting the best care possible. 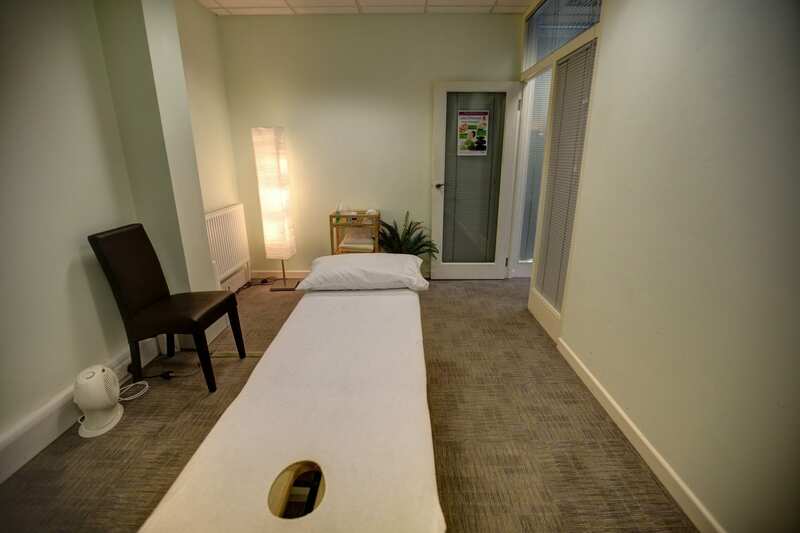 Our aim is to help you recover as quickly as possible for as long as possible. We aim to get good results by looking at the whole body from day one, not just the area of pain. You will get advice to help overcome and prevent your problem. We’ve been doing this successfully for over 23 years. 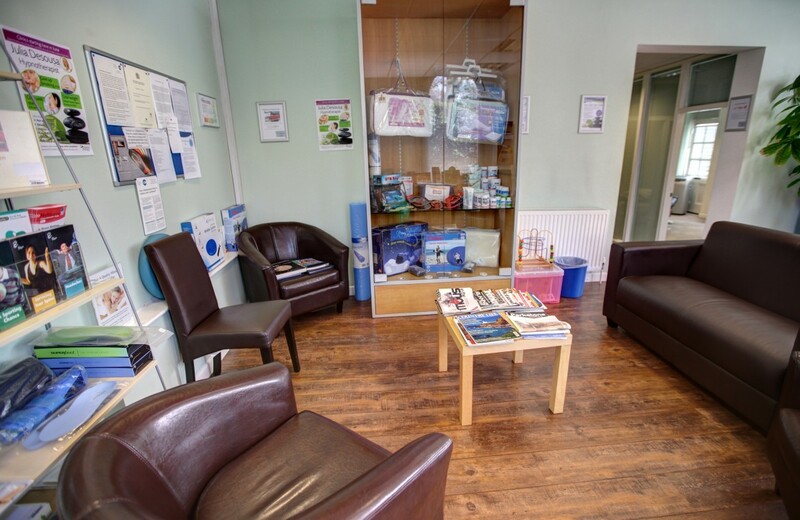 If you aren’t sure about coming for treatment give the clinic a call and we will be happy to spend some time finding out about your problems and seeing if it’s something we can help with. Then you can decide if Back In Form Chiropractic sounds right for you, and there’s no charge for this. Call us today on 01202 733355. I have been adjusted by numerous chiropractors in the course of a number of years and unfortunately felt like I was paying a lot of money with no real result, in two-three weeks I was in dire need of a chiropractor again…When I came to Back in Form clinic (chiropractor Steve) I had so many different techniques applied and advice on exercise to do home I haven’t had in all years visiting chiropractors all together. What is really important here they want you to get better not just keep milking you for money. I had a completely different life since I came to Steve – I started going to the gym, having walks and doing exercises. Spinal spasms, sleepless nights and inactive life is in the past. I am immensely grateful and would recommend this clinic to everyone! 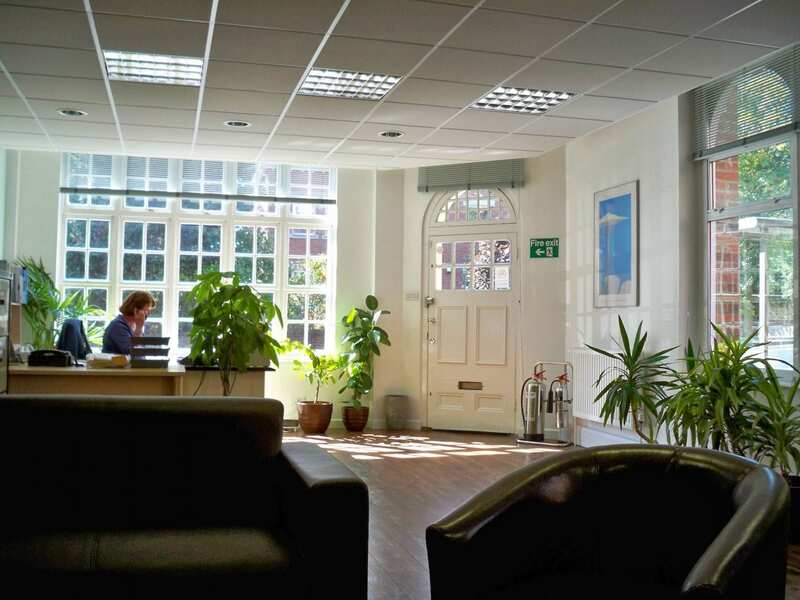 Our Poole clinic is close to Parkstone railway station. We are also well connected on the M1 bus route which stops right outside the clinic. Our Blandford clinic is ideally located on barnack walk, Blandford. How to find the best Chiropractor in Poole and Blandford. Back treatment is our speciality, but don’t forget we treat any joints using physical therapy techniques just like a physiotherapist would. With the added benefit of skilled manipulation. We specialise in treating not only the pain and stiffness of whiplash but also the mild traumatic brain injury that can occur. If you have had a whiplash simple tests and visual exercises can ensure your brain is functioning well and not weakened by the trauma. Find out more here. Are your anti-cholesterol drugs compromising your energy levels? Fact: Pain is being sent to your brain by every pain nerve in your body all the time. Hours of business Monday &Tuesday 8.40am to 7pm, Wednesday, Thursday & Friday 8.40 to 6pm and Saturday morning by personal arrangement. 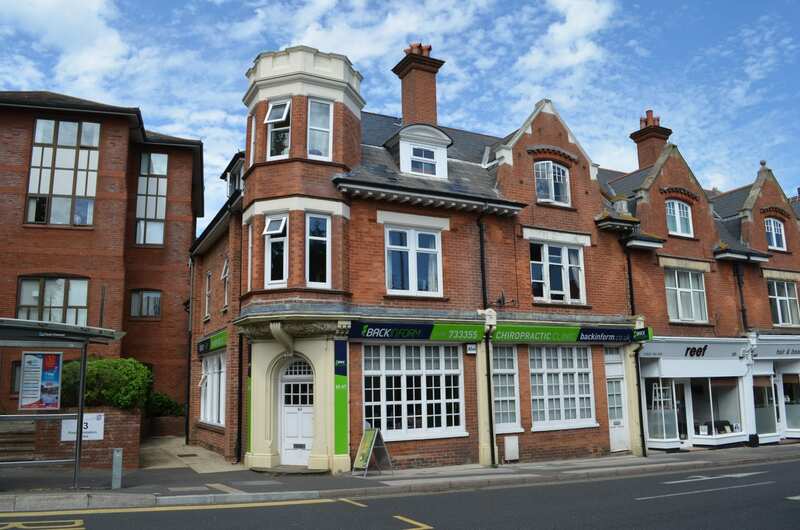 65-67 Commercial Road, Ashley Cross, Parkstone Poole, BH14 0JB.